Investing can be a tricky thing, especially if you are new to it and do not necessarily have the skills and full understanding of how it works. Luckily, a lot of finance apps exist that can help young investors make the most of their money. A strong finance app will be able to handle routine financial tasks, shuffle money into accounts, track spending and do more things that can lighten the load for you. This allows you to do things that you actually enjoy doing. For all investors, both new and old, here are five of the top apps in order for you to get your finances organized and invested. These apps are not from traditional stock brokers. Instead, this list includes non-traditional apps that assist you in managing your finances and help you invest. Every single one of these apps is great for beginners, and they make it easy for those who are just starting to invest, or someone looking to play a stock-picking game just for their own enjoyment. 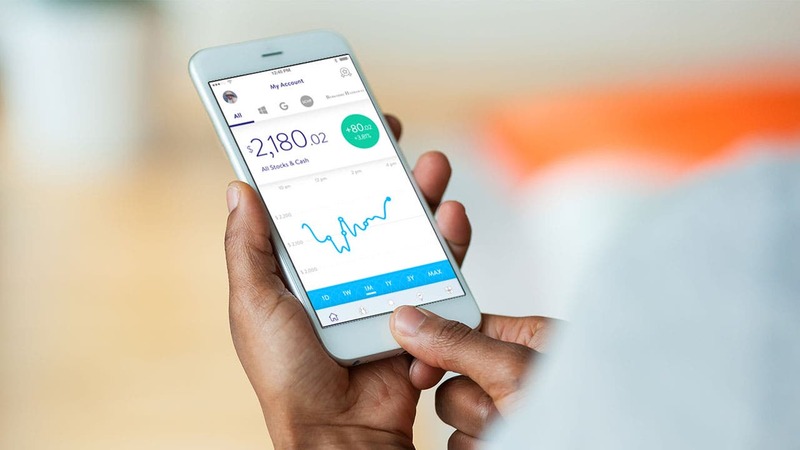 One of the older of the new breed finance apps, Acorns remains one of the most popular because of how easy it is to use for everyone. You don’t need to pay much attention once you have the app set up. Just link a debit or credit card to your account, and Acorns will gather the total on purchases to the next dollar and invest that difference into one of a few ETF portfolios. For the main version of the app, the fee is a simple $1. However, other options exist as well. If you like getting automatic savings while you’re spending without having to worry about it, you need to download this app. This is the app to have if you like avoiding trading commissions. Robinhood allows you to trade stocks, ETFs, options, and cryptocurrency for free, and you’ll be able to do it in a smooth mobile interface that makes quick work of it all. The basic app is simple to navigate, and you will be able to navigate through multiple screens seamlessly as you trade through the market. If you like trading stocks for free while having a simple way to follow the market, get this app loaded on your device. Even though it is a new player in the world of stock market games, Wealthbase may be the most user-friendly investing app there is if it’s for having fun and picking stocks. You can set up games with your friends that last however long you want, from a few weeks to even just the end of the day. Wealthbase sets itself apart in the stock simulator world through two methods. First, the app combines social media with stock picking. You’ll see a timeline of stocks your friends are choosing, with updates on who’s winning and losing. There is even a little friendly ‘trash talk’ integrated. Second, the app runs extremely smoothly. There are no delays to load and no lag whatsoever. A lot of people can have fun through this app, even if you’re not a huge stock-picker. If you like picking stocks and playing games in a social environment with friends, you should definitely make an account for this app. Although this app is one of the relatively new waves of robo-advisors, Betterment is already one of the largest and most popular. The app can do a lot of things, including creating professionally managed portfolios using a selection of ETFs. This is then calibrated against your own risk tolerance. If you’re capable of handling a little more risk, the app will be able to find you a higher return. If a safer portfolio is what you need, this app can do that, too. You can set up Betterment and relax as the pros do the rest of the work for you. If you like having a professionally managed portfolio for a minimal cost, get Betterment now. Stockpile is a cool app because it allows you to buy fractional shares of companies. If you don’t have $300 to buy that one expensive tech stock, Stockpile makes it so that you can buy a half or a third of it instead. Stockpile charges 99 cents a trade and does not charge a monthly fee, so you know exactly where your money goes. Another cool feature in Stockpile is that it allows you to give a gift card that’s redeemable for stock. This can be an interesting way to get a younger relative into investing in a fun way. If you like investing but don’t have enough to buy expensive stock and you like the idea of gifting stock to younger relatives, you might like Stockpile.